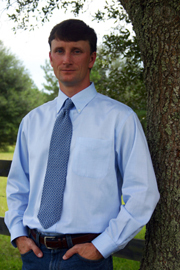 After obtaining his Master’s degree in Architecture from the University of Florida, Warren obtained professional architectural training and experience at a well respected Architecture firm in Gainesville, Florida. This firm specialized in high quality, full architectural services, and worked on large multi-million dollar commercial projects. During employment at the firm, architectural services were performed on a variety of commercial project types for various departments of the University of Florida, including: The Division of Housing, IFAS, and Shands. Services were also performed for FDOT and large scale multifamily housing developers. In addition, Warren provided the well received design for a proposed phased shopping center complex. Warren received thorough training in every aspect of architectural services during this time. This training has assisted him since with providing high quality, detailed, buildable, and code compliant designs and drawings. This training also translated into an ongoing constant pursuit of continued research and self-driven education to master the aspects of architecture relating to project types applicable to Warren’s interests.